I think the idea was a bit more abstract. Like I said, samurai were angelucized through bushido. And people wanted to emulate them, or were forced to at least. The piolets were welded in. Maybe they were onto something (the Enteric Nervous System). It even has a messiah (donald trump). And people cling to it without reason. I could see some people being so into it that they form small communities divoted to it when it becomes out dated or replaced in some way. Same happened with the amish. "Workaholism" is, presumably, one or all of the above descriptors, depending on the base motive - are you doing it because god told you to, because it is a learhed thing, because it is a symptom of a mental condition . . . ? So, could it be the case that the holy books use what, since it is so common if you include every type, is evidently a human evolutionary/genetic trait for their own purposes? OK, so do political leaders and inspirational managers and . . . I wonder if de-culting uses similar "treatment" techniques as, say, those for compulsive obssesive disorder/behaviour? That's a good point about the holy books Gloucester. I would take it one step further and say it might emcourage workaholism. I have wondered if religion even encourages mental illness. Seeing the "signs" or "hearing god". Some native americans get their religious insight from taking drugs and for some it is a rite of passage. New agers have similar experiences, especially on lsd. As for asian religions I am not so sure. Workaholism could still be an issue but manifested differently in the mind. Some claim to see visions, ect. I was only using workaholism as an example, to sort of link with your post. The Puritan "work ethic", "The devil finds work for idle hands (so make sure you are doing good work)," is probably not unique to them. Otherwise one or more of those three "cinditions" I listed can be found in almost any belief system, even humanists get a bit obsessed with humanity at times and some atheists get obessed with being aggressively anti-theist. Then there's a whole bunch of people who, for no rational reason that I can detect, get obsessed with their bodily condition and feel guilty if they miss a workout! People believe in this nonsense because their delicate egos need to be stroked. They are also too lazy to think for themselves. With just a smidgen of legwork, they'll realize the foundation of their beliefs will not withstand the weight of the scrutiny. I think I was about 8 when I realized it was all a big steaming pile of rancid horseshit. Yeah it's (workaholism) definitely tied to other things besides religion. The kamikaze is an extreme example. That guilty feeling when missing a workout is one thing I am guilty of. Probably the only thing of that nature. One thing though is that the problem with being a workaholic, and I know this from being a lifter, that doing too much will ultimately be unproductive. Your body and mind cannot handle it. And if you do too much for too long, the damage will be permanent. That guilty feeling after a workout is one thing I am guilty of. Probably the only thing of that nature. "...guilty feeling after a workout..." ? Thought it was supposed to give you a rush! I was talking about the obsessive need to workout. In the "overdoing it" aspect; in that programme about counting steps it was said the "traditional" 10 000 steps/day is a hangover from the Uspanese name of one of the first step counters in the 60s. In fact the first hundred or so are the most important and the benefit drops off after much less than 10 000. The longer walk might improve stamina but that is all. @ No one: I think the problem is genetic, some are simply incapale of independant thought in this respect - I have met capable nanagers, leaders, who cannot handle life without the concept of god, of a figure who is the source (they think) of good. Then again I have met god bothering bosses who are utter bastards! For those who have read "The Prince" : is there any mention of "respect" in there? One may respect a person and dislike them at the same time, e.g. - I dislike my cardiac consultant's "superior" attitude (which I suspect shields feelings of inferiority) but have to respect his skills as an electrophysiologist. I am of the school that believes true respect can only be gained via demonstration, never through any kind of fear. You do not really respect a person for his/her position, only for their deeds. Thus the Abrahamic god is, at best, suffering a split personality, is not to be relied on. With a human one can still respect the rights of such a personality. With a deity one might suspect the sanity of those who respect that entity's recorded point of view, er, religiously. Whoops. Meant to put "if i miss a workout"
Machiavelli does go into reputation and how it's important that the ruler not be hated or held in contempt. Fear would be a form of respect as well, wouldn't it? Fear is ok, hate is not. Who do you think people respect more: Kim Jung Un or Donald Truck. 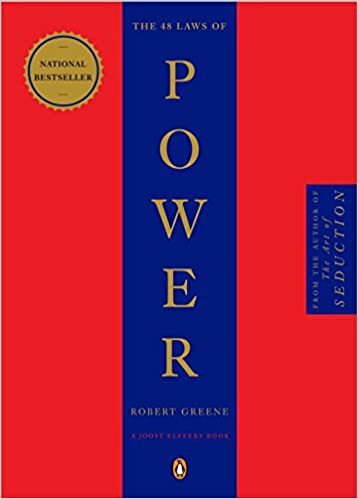 Also many things you are mentioning in the book SP remind me of "The 48 Laws Of Power". Essentially verbatim. Undoubtedly The Prince must be one of the many texts he read in order to write that book. Well, Silver, in my mind fear has no positive effect on those who suffer it - you may not "get the best out of them". Respect can be a "double positive" because, if earned, it usually goes both ways - thus you have a "willing worker". But, certainly, from the bosses pov fear is better than hate. Fear cows whereas hate may foment rebellion.